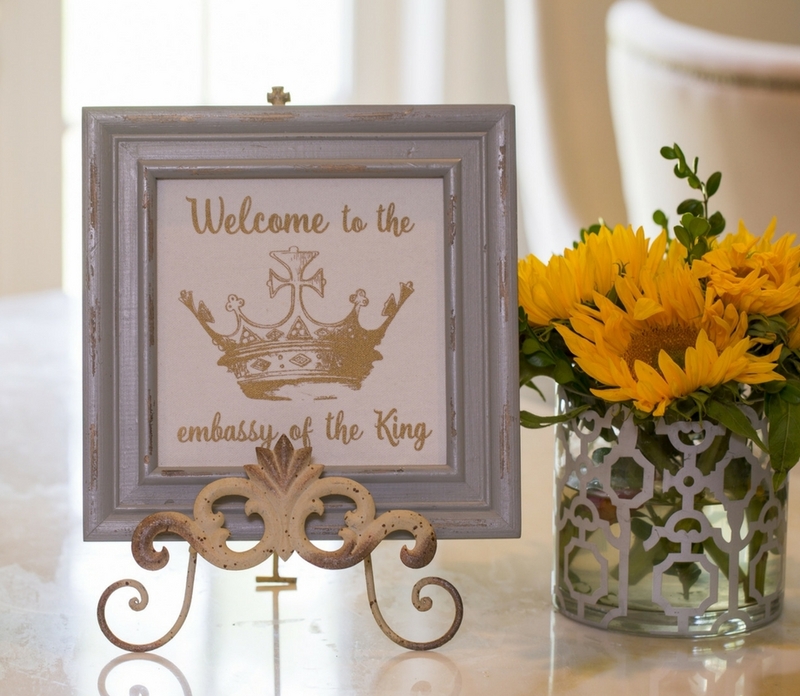 Just like the American Embassy waves the flag to declare safety and comfort within, we need signs and sounds and recipes and attitudes that declare the haven of our homes as an Embassy of the King. When the UPS man delivers, when neighbors stroll the streets, when guests are invited over, we want them to know that we aren’t just another family. We are a family who belongs to Yahweh, and are committed to using our home, lives, and resources to make Him known. 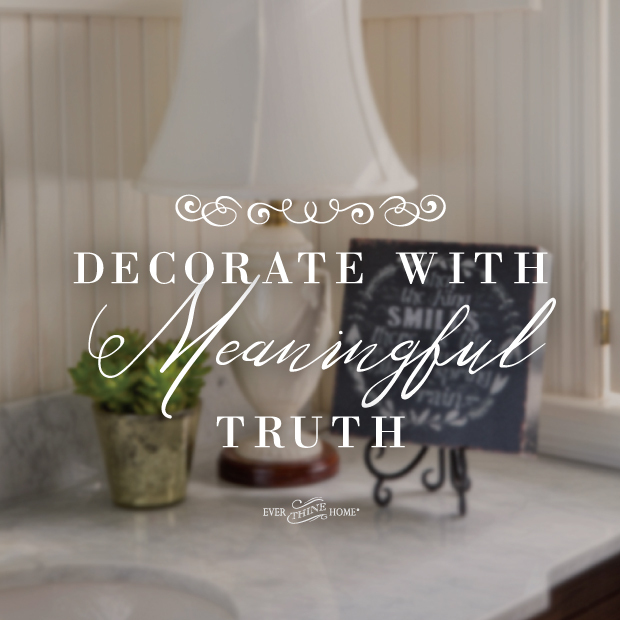 It’s our responsibility as believers to decorate with meaningful truth. 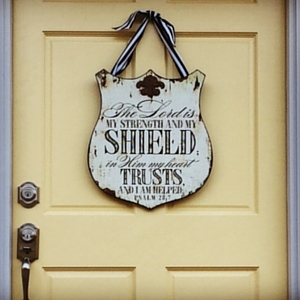 Deuteronomy 6 instructs us to keep God’s words and commands ever before us: “You shall bind them as a sign on your hand, you shall write them on the doorposts of your house and on your gates.” Essentially, you need signage that tells other people Who your house belongs to. Believing beautifully is not just for visitors. Might displaying beautifully designed verses and biblical truth be an important declaration to us too, as homeowners, as citizens of America, as reminders of our true Home and kingdom? Prop the Embassy sign on your entryway table, so that seeing the declaration reminds you, at the end of a tiring day, as a stranger in a foreign land, that you too can breathe a sigh of relief as you enter His embassy. You’re entering a place God intends to be a haven of safety and refuge, a place warmed and permeated by the presence of our true King. You need visual pieces that shout to you and your guests: This is your heritage. Don’t forget. I’m your God; you’re my people. 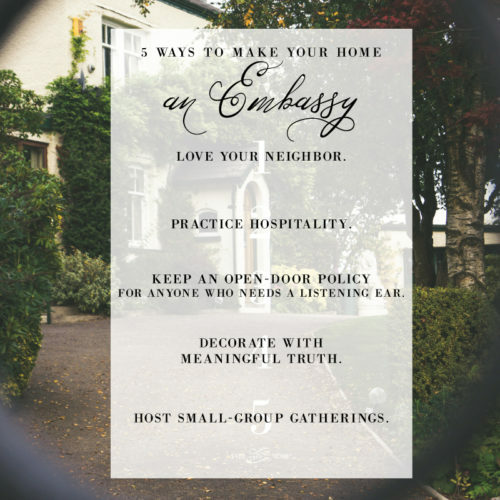 If you’d like to hear more about using your home as an embassy, tune in to this week’s FamilyLife Today broadcast to hear Dennis and Barbara share about their home. Download/print this free PDF for a little reminder throughout your day.